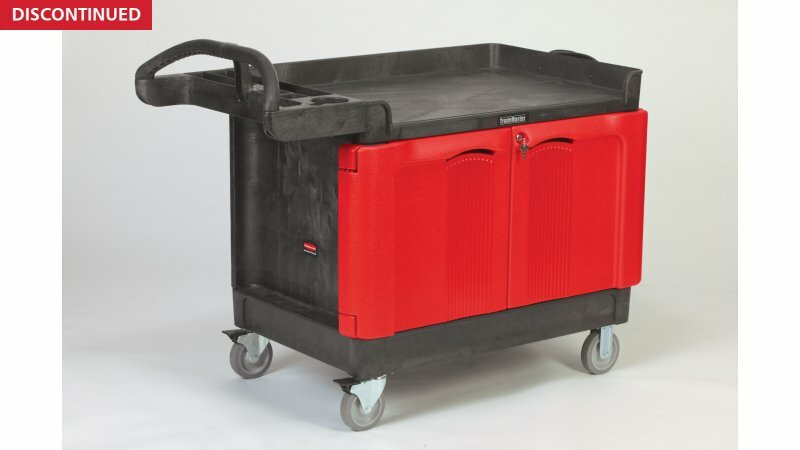 The Rubbermaid Commercial TradeMaster 2-Door Cabinet Utility Cart creates a rolling work center capable of transporting up to 750 lbs. on two 5" non-marking casters and two 5" locking swivel casters. 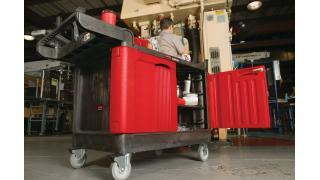 The Rubbermaid Commercial TradeMaster Cart with 2 door cabinet provides easy transport for tools and supplies where you need them. 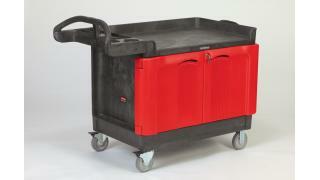 Features locking cabinet for versatile tool and supply storage and organization. Drawers feature commercial-quality, ball bearing slides. Metal –reinforced structural foam shelves are engineered for durability. Cart is low maintenance and won’t rust, dent, or chip. 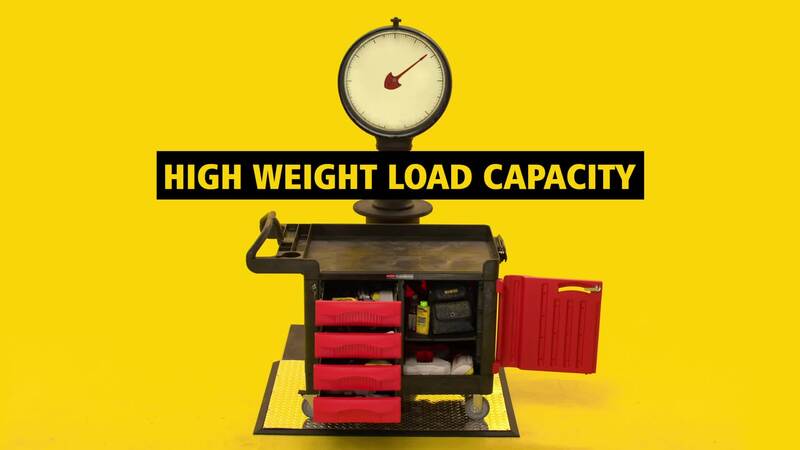 Molded in storage compartments for small parts or tools. Non-marking 5” casters will fully lock for safety. Comfort, easy grip handle reduces wrist and back strain.